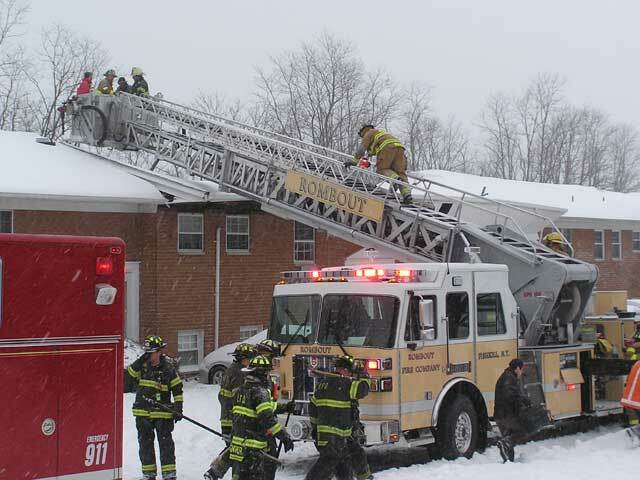 Hughsonville –The weight of the snow and ice caused a 60-foot section of roof to collapse at the Montclair Townhouses on Route 9D in Hughsonville Wednesday afternoon. 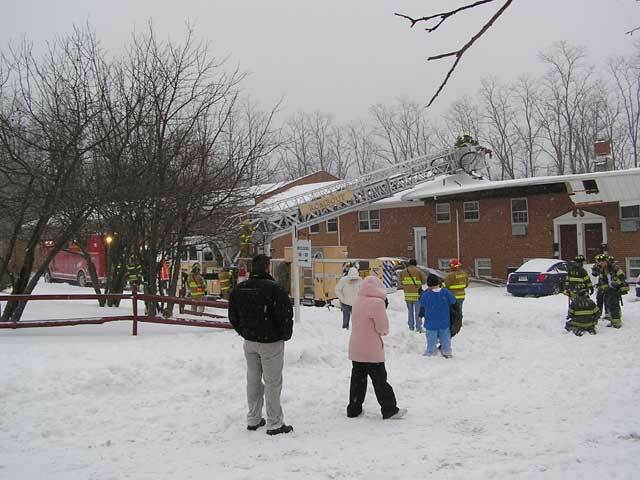 Two second-floor units sustained damage as roof beams tore through sheet rock ceilings. 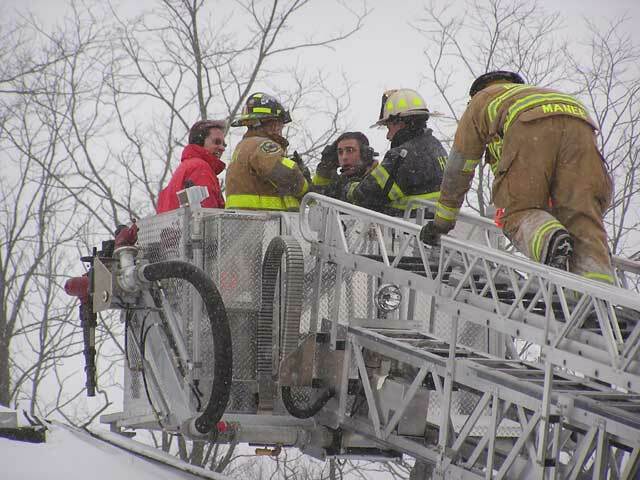 One unit was occupied at the time by a husband and wife and their infant. No one was injured. 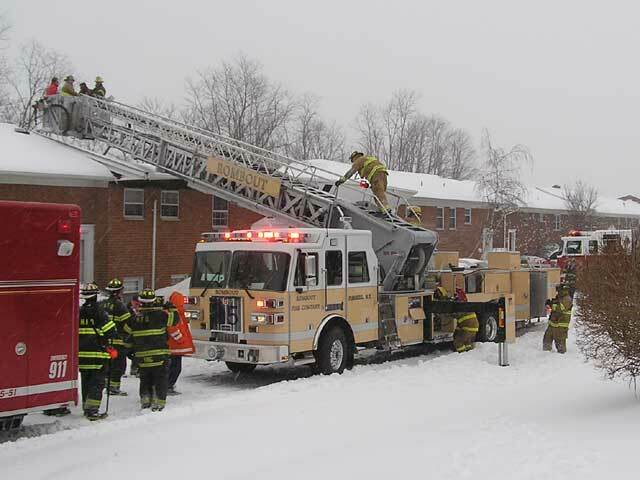 In total, eight units are now uninhabitable because they all share one boiler, said Fire Chief Glenn Kramer. That could take at least one month, the chief said. Nine adults and six children have been put up in hotels by the Red Cross.